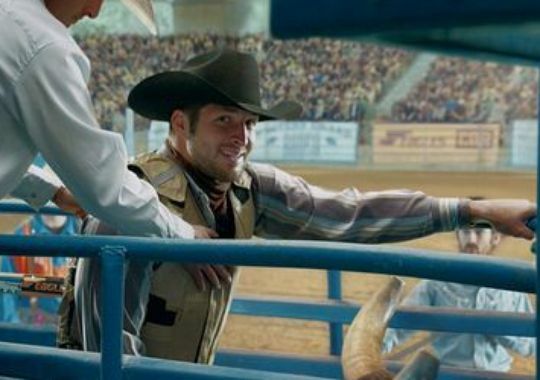 Tim Tebow may be most well known for his antics on a football field, playing quarterback for the New York Jets, but after this year’s Super Bowl, we may remember him more for playing a rock star, or bull rider in T-Mobile’s advertising campaign for the biggest American sporting event of the year so far. 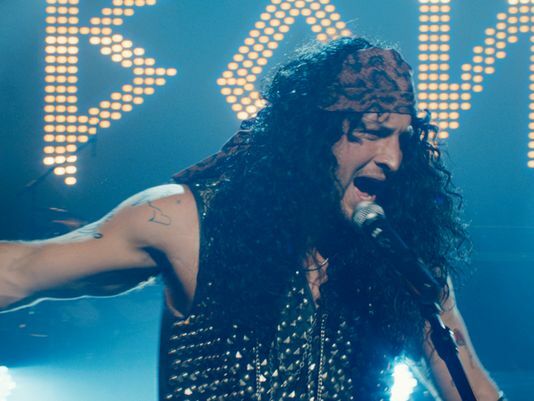 How does Tebow fit in with T-Mobile’s approach to the smartphone market? You may ask. The answer: Contracts. Or rather, the lack thereof. The two thirty-second ads poke fun at the fact that Tebow is currently a free agent, and without contract. This ties in perfectly with T-Mobile’s message of “contracts are evil”. Reportedly, Tebow took on the task as it allowed him to be “self-deprecating” and have a go at something outside his comfort zone. It also allows him to show more of his own personality, the side of him that normally only his family and friends would see. We haven’t see the ads yet, but, it sounds like its ramping up to be an entertaining and light-hearted campaign. It will almost certainly pull people’s attention away from the fake press release from a couple of days ago. Great commercials! I wish I didn’t watch them, because I mostly watch the Super Bowl for the commercials (sorry, I’m a college football guy). Oh well, still looking forward to these during the Super Bowl. I have to cheer for them, since they beat my 49ers (the only team in the NFL that I really like). GO CARDINALS, super bowl at home next year! The post game stunt after the game against my 49ers is exactly why I’m hoping the seahawks get plowed and stomped. I’m not a fan of the Donkeys BUT – The enemy of my enemy..
It’s a great idea and can’t wait to see them on TV. I wonder what the other carriers are planning to do?? AT&T has BEATS and Ellen, but I don’t think that’s going to be as strong as Tebow. I agree that it will have a MUCH bigger exposure. As a tmobile employee… Trust me when I tell you the changes are on people’s radar! I love the association between “no contract” and Tebow, but I wonder how rival carriers (ATT) will respond to a “has been” NFL player and his 15-minutes. Can TMobile live beyond the hype and not become a “T-Bowble” themselves? Just imagine if ATT was running Super Bowl commercials with a has been football star best known for virginity…What kind of snarky tweets would we be reading from Legere? Instead they are using Ellen…ssssooooooo, there’s that. EXCELLENT spots! Very funny as well. With Super Bowl airtime alone at $4 million per 30 seconds , Tmobile must have a lot of extra dough. Not to mention production costs and Tebow. Big fan of Tebow. I love the commercials. It’s the only way he can get into the Super Bowl. I like it. I hope we see this kid back in the NFL sometime. Sidenote, T-Mobile is paying quite a bit to be in these spots. First time they have 2 super bowl ads? It’s especially strange after legere’s comments at the keynote. He said things like “you don’t see us having macklemore concerts” and “we don’t spend any more on advertising than is necessary to get the word out” he was gloating about how they spent so much less than other companies. I guess they decided it was worth it. the commercials have definitely gotten some good press so far. a superbowl commercial is necessary since the game is watched by more than 100 million americans and their customer base is just half of that. This article shows it’s a person from England writing it. Tebow isn’t best known for playing a quarterback in New York. He was best known for his outward Christian faith, playing quarterback in Denver, and NOT playing quarterback in New York. I understand that people in England don’t even watch American football, so that’s an easy pass to give. Right, he barely got on the football field in New York. But why should a Brit actually be aware of the facts. Why would a Brit be aware of how good/bad T-mobile’s network is? haha good point. maybe a Brit living in the US? Yeah, but he’s a Brit that lives in Britain. I didn’t know that thanking God for scoring a touchdown was considered ‘antics’. These commercials were pretty excellent.